Israel started his activity with CRG in Israel in 2007, Partnering with Doron Neev in Business Development and Customer Coordination, as well as CRG's senior consultant for Compensation & Benefits and Employee Relations. Prior to joining CRG, Israel held senior corporate roles in companies such as Unilever Israel (Corporate C & B Manager), Bestfoods Israel (Corporate Employee Relations manager), and Israeli Edible Products (Corporate HR manager). 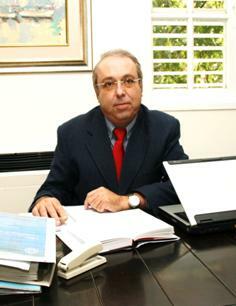 He is graduated of Haifa University in Business Administration, Certified by the Israeli Ministry of Justice in Mediationa nd by the Reccanaty Management School (Tel Aviv University) in HR Management.